Quick Hits: What’s left to do? Lots. Week 9 this year is too early for anyone to clinch a bid to the playoffs, but those days are coming, and a couple of the games that will be key in deciding automatic bids are being played this weekend. Our regular crew is Keith McMillan, Ryan Tipps, Pat Coleman, Adam Turer and Frank Rossi. Our sixth spot each week goes to a guest prognosticator, and this week’s is Mary Hardin-Baylor fan Chad Hammonds, someone who follows UMHB very closely and knows that in order to be a fan of a top team, you need to know a little bit about the rest of the country, since you could be playing them in Week 12, 13, 14, etc. . Which game is the Week 9 game of the week? Keith’s take: No. 15 Illinois Wesleyan at Millikin. Titans win sets up a huge showdown with NCC next week. A Big Blue win makes CCIW a five-way race to the finish. Ryan’s take: No. 18 Muhlenberg at No. 23 Johns Hopkins. Hard not to love this matchup, with the winner being in the driver’s seat for Centennial crownery. Pat’s take: No. 18 Muhlenberg at No. 23 Johns Hopkins. The Centennial’s game of the year most years. Adam’s take: Muhlenberg at Johns Hopkins. Despite losing their conference opener, the Blue Jays still control their destiny in the Centennial Conference. This is a must-win for the conference’s perennial champion. Frank’s take: No. 25 Salisbury at Rowan. It’s a game with Pool A & C implications for an undefeated team that’s entering the meat of its schedule (Salisbury). Look for a defensive battle. Chad’s take: Muhlenberg at Johns Hopkins. An early-season hiccup by the Blue Jays was quickly erased. While the Mules average 459 yards a game, the Blue Jays defense will be up to the challenge. Keith’s take: No. 13 Berry. Four of Vikings eight wins were within one score in the fourth. Birmingham Southern is 5-2. Ryan’s take: No. 25 Salisbury. It’s been talked about several times that the undefeated Gulls haven’t been tested much yet. But Rowan certainly has been and is all the better for it. Pat’s take: No. 25 Salisbury. This is the first big test for Salisbury, while Rowan is battle-tested. Adam’s take: No. 25 Salisbury. 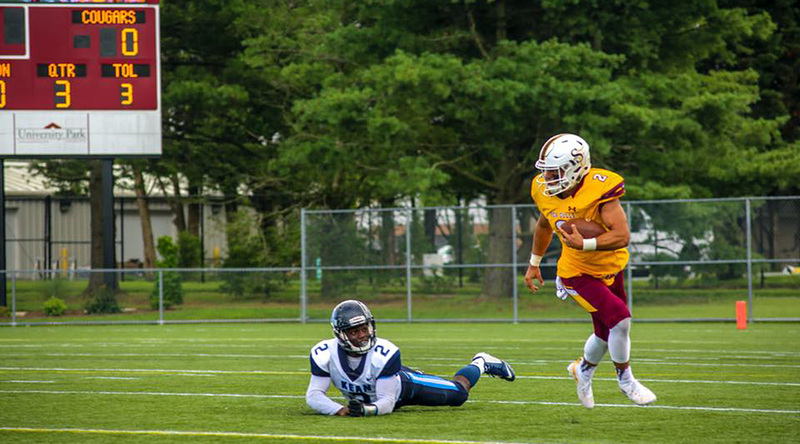 The NJAC gauntlet starts now for the unbeaten Gulls, who travel to Rowan, then host Wesley, then close at Frostburg. The Profs have momentum after knocking off the Wolverines last week. Frank’s take: No. 11 Wittenberg. “Wabash always fights [Wittenberg hard].” Except for Wabash’s 2015 big win, lately, this matchup is always close. It’s a must-win for Wabash. Chad’s take: No. 11 Wittenberg. I expect a close game throughout with the Little Giants making a big play late to upend Witt. Which team hurts its regional ranking before it is even announced? Keith’s take: I haven’t been this deep in the weeds, but No. 25 Salisbury has a tough matchup at Rowan. Ryan’s take: Western New England. Not only is this a tough outing against Nichols, but it’s also a trap game for WNE with Endicott coming up next week. Pat’s take: No. 17 RPI. The Engineers will win, but their strength of schedule will take a hit this week vs. Rochester. Adam’s take: Baldwin Wallace. The second-best game of the week pits the 6-1 Yellow Jackets at 6-1 Marietta. The winner remains in Pool C contention. Frank’s take: No. 17 RPI. They currently possess the 24th best strength of schedule figure nationally, but facing 1-6 Rochester won’t help, especially if it’s a remotely close score. Chad’s take: Millikin. Needing a big win, the 151st ranked defense can’t keep tabs with the 46th ranked offense. A win here would have propelled them to a nice ranking, but the Titans are too much. Keith’s take: Wartburg at Loras. The glut at the top of the ARC might remain; Knights are only top-half team to play opponent with winning record. Ryan’s take: Millsaps at Centre. Compared to Centre’s 6-1 record, Millsaps’ 4-3 is a bit misleading considering more than half of their games had margins of 7 points or less. Pat’s take: Eureka at Concordia (Wis.). More on that game in the podcast. Adam’s take: Averett at Maryville. The two conference unbeatens in the USA South meet with much on the line. The Scots’ 2013 appearance is the only playoff berth between these two programs. Frank’s take: WPI at MIT. It’s a crucial Pool B game in the NEWMAC. An MIT loss could reopen a playoff path for Thomas More and throw the NEWMAC standings into chaos. Chad’s take: Hardin-Simmons at Southwestern. HSU is playing for its playoff life as they take on a Pirate team who runs well and stops the run well. A traditional, smash-mouth game will not disappoint. HSU with the close win. Keith’s take: Misericordia. Concordia (Wis.), King’s and Olivet are tough opponents, but Misericordia loves company … or something. Ryan’s take: All three. Kzoo and Eureka have interesting/challenging games, so all three winning is far from a sure thing — and we continue to stay highly vested in their conference races. Pat’s take: Misericordia. Oh. Maybe people will be following Eureka. Adam’s take: Misericordia. A road trip to King’s won’t be easy, but it’s the most favorable matchup among three of the season’s most pleasant surprises. Frank’s take: Kalamazoo over struggling Olivet, Misericordia over inconsistent King’s, and Eureka over a very good Concordia (Wis.) team. Chad’s take: Kalamazoo. Kalamazoo keeps its MIAA championship dreams alive and keeps an eye on Trine and that Nov. 10 game. .
Defiance, Earlham or William Paterson? Keith’s take: William Paterson. The Pioneers and their 1-6 opponent, TCNJ, are similarly challenged, scoring 40 and 62 points, respectively, this season. Ryan’s take: William Paterson. The Pioneers will pick up not just their first win of the season, but also their first win in more than two years. Pat’s take: Earlham. I’m going with the team on the bye because it’s a good time of the year for a small roster to get a break. 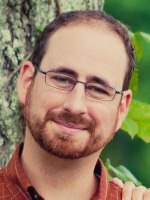 Adam’s take: Earlham. If not now, against winless Defiance, when will the Quakers finally snap their streak? At least the Quakers can’t take an L this week, on their bye. Frank’s take: I won’t be Defiant against Rose-Hulman, nobody is Quaking at the thought of idle Earlham, but Pioneers will shock TCNJ — even without covered wagons. Chad’s take: William Paterson. The Pioneers get off the schneid against TCNJ. Well, there were some interesting losses and some unexpectedly narrow wins on Saturday. While that didn’t change the playoff picture as much as it changed the Top 25, there were still some key changes. 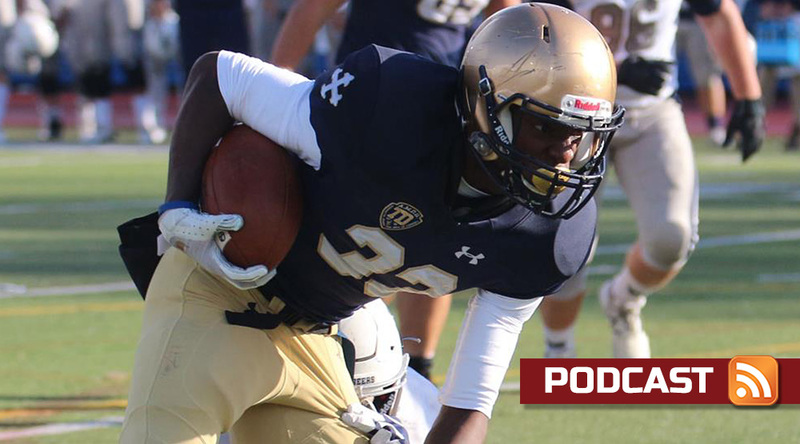 There’s one team out there specifically that has to feel much better about its playoff chances after this week, and Pat and Keith talk about that and more in the latest D3football.com Around the Nation Podcast. So, with Wesley dropping out of the picture, who’s next up? 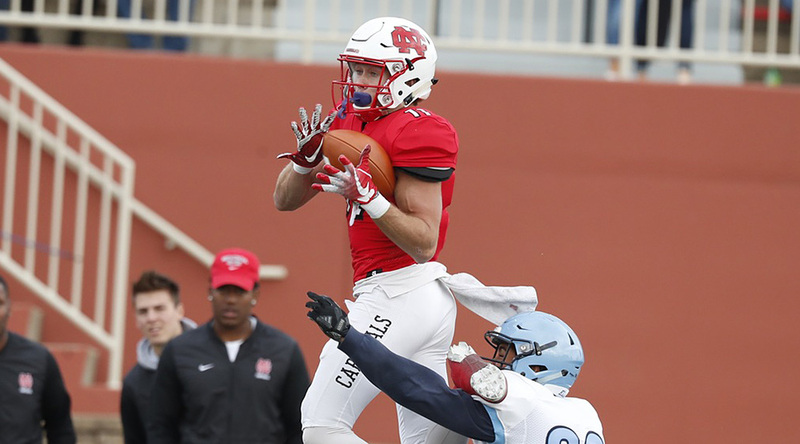 There are plenty of possibilities, plus Frostburg State still has Salisbury to play, and Frostburg didn’t exactly look like world-beaters on Saturday. You can hear Bobcats coach DeLane Fitzgerald’s reaction on this edition of the pod, then find out where they ended up on Pat and Keith’s Top 25 ballots. Plus, what team do Pat and Keith make up the vast majority of the votes for? All those nuggets are in this pod, plus game balls, the off-the-beaten-path highlights and everything you’ve come to expect from our Monday wrapup podcast. That and more in the latest D3football.com Around the Nation podcast. The D3football.com Around the Nation Podcast is a regular conversation between Pat Coleman and Keith McMillan and guests covering the wide range of Division III football.